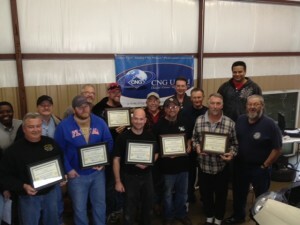 CNG United is currently offering 7 national locations for your CNG Certified training program. Our training program is designed to not only train you from a “hands-on” perspective, but we teach you how to open your own CNG retrofit shop. Best way is to simply call us to discuss your training needs. Our competent CNG Sales Manager are ready to take your call and assist you. 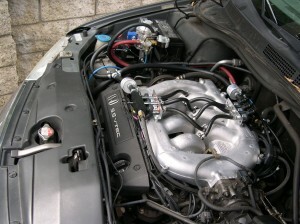 Are you preparing to install CNG conversions systems in your customers’ vehicles? Does your company have a fleet of vehicles that will need to be converted to run on CNG? 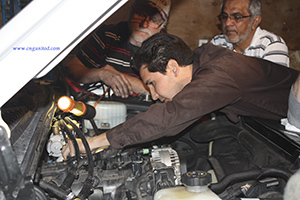 Do you want to learn more about CNG powered vehicles and CNG conversion systems? CNG United offers convenient locations throughout the United States where you will learn how to safely and successfully install CNG conversions on Gasoline and/or Diesel engines and obtain the education required for your CSA Tank Inspection Certification. Over the years, CNG United has updated and adjusted our CNG training curriculum to not only follow the most current and up-to-date safety rules and regulations, but to also update our cutting edge CNG training program to include a “hands on” real-life approach to your CNG training experience. Performing vehicle programming and calibration to ensure that your newly converted CNG vehicle runs at factory performance levels!